Growing up in Glasgow, Scotland, Abram was apprenticed at fifteen to a painter and started taking classes at the Glasgow School of Art. He graduated in 1926. Once he returned to Glasgow he opened his own studio and worked as an assistant to other sculptors and taught at the Glasgow School of Art. 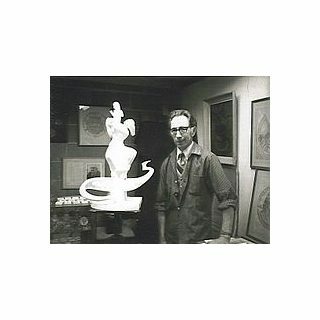 Abram moved to New York City in 1929 where he was employed by a fellow London-born sculptor John Gregory. He assisted Gregory for the next three years in bas-reliefs. Abram moved to Closter in 1931 where he stayed for the next 57 years. Abram became the first forensic artist, working for the New York Medical College where he taught several generations of physicians. 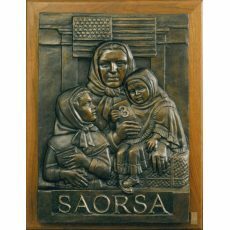 He began his career as a medallic artist in 1952 and began creating reliefs depicting the signs of the zobiac. This allowed him to treat the subjects of Greek mythology.